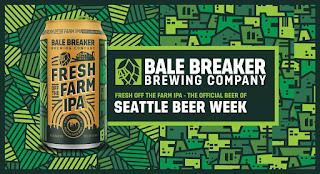 Bale Breaker Brewing Co. is honored to be the first Yakima Valley brewery to brew an official Seattle Beer Week beer. Cans are currently available in select locations throughout the state. Kegs will be ceremoniously tapped at participating locations at on May 4 at 5pm to kick off the week. 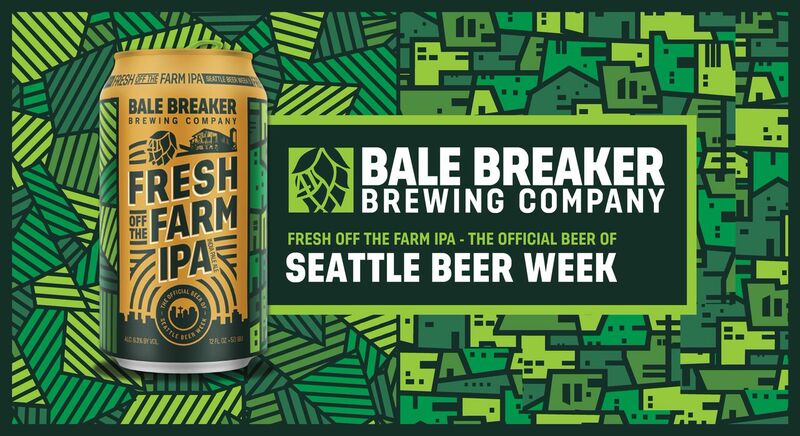 The Bale Breaker Team will be at 21 events in the Seattle area throughout the week, as well as a kickoff event May 4 at its Yakima Taproom. There are hundreds of beer events of all kinds, so visit your favorite watering hole to find some Fresh off the Farm IPA and celebrate. 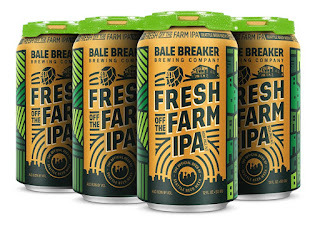 The Official Beer of Seattle Beer Week 2017, Fresh off the Farm IPA was brewed in the center of hop field #41, just minutes from downtown Yakima, by Bale Breaker Brewing Company. Founded by fourth-generation hop growers, this truly farm-to-glass brewery crafted a brand-new IPA to celebrate the 9th Annual Seattle Beer Week. A big hop aroma on a clean Pilsner malt base perfectly showcases a few of the newest and most exciting hop varieties off their family’s hop farm. Whirlpool additions of Simcoe® and Mosaic® add depth to the nose generated from a post-fermentation charge of Ekuanot™, Loral™, and the still-experimental HBC 630. From the fields of the Yakima Valley to the streets of Seattle, Fresh off the Farm IPA delivers farm fresh flavor no matter where it's poured. Seattle Beer Week (SBW or SBW9) was created to celebrate and showcase the tight-knit beer community of the Northwest. There will be hundreds of events in the city throughout this year’s 9th annual celebration of beer. According to industry sources, suppliers and distributors, SBW is among the top three beer weeks in the country for the originality of events and the number of participants. 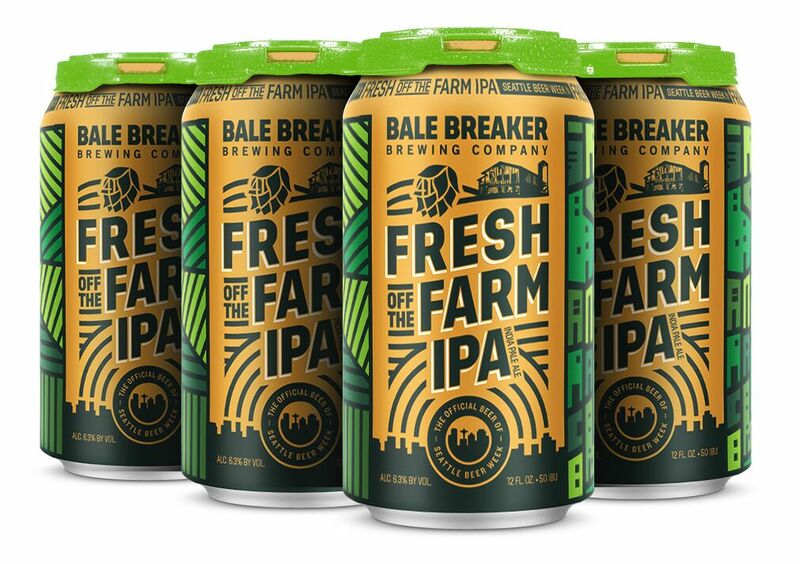 Fresh off the Farm IPA Release @ Bale Breaker: Keg Tapped at 5pm! All week: Visit Zeek's Pizza for Yakima Valley pizza & beer specials. Check with Zeek's for participating locations.